When I wrote the early FAQ books, they were designed as a reference book for experienced photographers moving over from Adobe Camera Raw in Photoshop and trying to get used to working with a database. Over the years, Lightroom’s audience has changed. 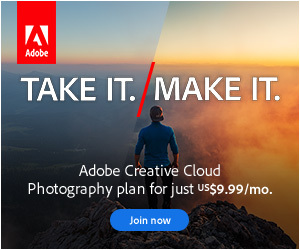 There’s now a wide range of photographers using Lightroom, from those just starting out to others who shot medium format film. 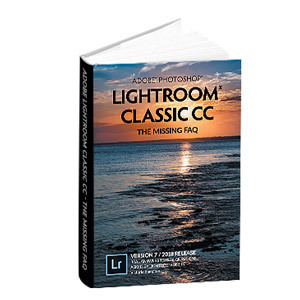 As a result, my primary focus with this release is to make the information accessible to less experienced users, without losing any of the advanced geeky detail, so the book’s useful to you throughout your whole Lightroom journey. Over the years, the books have grown organically. As new features have been added, I’ve delved into them in detail for upgraders, but some of the original output modules were missing information for beginners. I’ve been through the whole program with a fine tooth comb, ensuring that all of the sliders are explained in this release, so you have a complete reference. The main entry for each slider name is in bold to make it easy to spot when you’re in a hurry. As the books started out purely as an FAQ, the questions were grouped by module and topic, and you had to skip around the book following the cross-references to find related information. With this release, the chapters follow a typical workflow so most of the related information is grouped together. There are still a few clickable cross-references in the text, but they refer to whole chapters or sections of information that would be redundant if repeated. As with my previous books, I’m still self-publishing, having turned down multiple offers from publishers. This means I have full control over the content, and can offer upgrade discounts and free eBooks, which wouldn’t be possible with a large publishing house. A workable solution for color print and distribution has finally become available, so I’m thrilled to be able to release this book in color print. They’re still printed on demand in the US and UK, so it’s not a glossy paper, but it’s a huge step up from the previous black and white print.